In the past four decades, China has transformed from a Soviet-style planned economy to one in which the market plays an increasingly greater role. As the private sector has flourished, state-owned enterprises have also undergone great changes to adapt to the market economy. Zhang Chunlin, lead private sector development specialist at the World Bank Group’s Trade and Competitiveness Global Practice, describes the role the World Bank has played in helping China’s state sector to transform. Caixin will publish his article in four parts, covering topics including the corporatization of SOEs, the commercialization of state ownership, dividend policy and state capital management. Here is part one. State owned enterprise (SOE) reform has been critical to China’s economic transformation over the past four decades, which helped 850 million people to pull themselves out of poverty. This is because at the outset of the economic reform, China’s non-agriculture sector, accounting for 60% to 65% of GDP and 30% of employment, was dominated by state ownership and central planning. Even today, a large state sector remains a hallmark of the Chinese economy. There were over 170,000 SOEs operating in non-financial sectors in 2017 with a total of 50 trillion yuan ($7.4 trillion) of state equity capital, and the financial sector is dominated by state-owned financial institutions in which the state has invested 16 trillion yuan of equity capital. Recent information released by senior government leaders suggests that SOEs generate around 30% of China’s GDP. China’s unprecedented development success would have been unconceivable without its efforts in reforming the SOE sector. Starting from the 1980s, SOE reform has been an important component of the partnership between the World Bank and China. Over a period of more than three decades, the bank worked closely with its Chinese partners to provide a stream of analytical and advisory services. 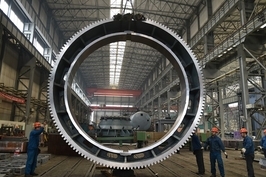 In the 1980s, China’s first generation of SOE reform sought to improve performance of all existing SOEs through two sets of modifications to the traditional SOE model it transplanted from the Soviet Union. The first aimed to empower SOE managers by transferring to them some microeconomic decision-making rights, known as “delegation of power.” The second was designed to strengthen firm-level incentives by allowing managers and workers to benefit from improvements to their factory’s performance, in the forms of increased bonuses and welfare, known as “profit sharing.” In the mid-1980s when this approach peaked, a range of performance contracts were put in place between SOE managers and their government supervisors to specify the decision-making rights to be delegated and the terms of profit sharing in relation to performance. • Once a suitable economic environment is created through price reform and competition, pursuit of profit should lead most state enterprises in an economically appropriate direction. However the fundamental problem of the proper relationship between the state and the enterprise remains. • One approach is to give strategic decision-making authority in each enterprise to a board of directors that represent institutions with a strong interest in the enterprise’s profit. • However, policy towards non-state enterprises will also be critical in China’s reform of the urban economy and could indirectly contribute to reform of state enterprises. This was followed by another report specifically on SOE reform in 1989 with more concrete recommendations. The report warned of the danger that the newly created State Property Management Board could become a state property superpower. It should be a policymaking and monitoring body. 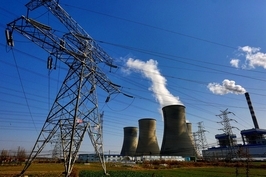 It recommended that the actual ownership role in SOEs could be exercised by various forms of companies such as holding companies, investment companies. In the meantime, promulgation of a company law was highlighted as an immediate priority, and a set of regulations governing the valuation of assets and enterprises and of ownership rights should be developed as a basis of enterprise ownership transfer. The two reports were instruments of an active and continuous policy dialogue. Policy messaging and technical advice were disseminated to Chinese policy researchers and advisors as well as senior policymakers in various ways. Participation in workshops with Chinese policy advisors was one of them. For example, most Chinese policy advisors received the messages of the 1989 report, which was never published, at a workshop held in Beijing’s Diaoyutai State Guesthouse. A second channel was the participation of Chinese counterpart team in the World Bank’s study. While a wide range of World Bank recommendations were considered by the Chinese authorities, corporatization as a strategy for SOE reform was later recognized by many senior Chinese policy advisors as a key contribution of the World Bank. It is widely agreed that the World Bank was the first to propose that corporatization could be a strategy for China’s SOE reform. 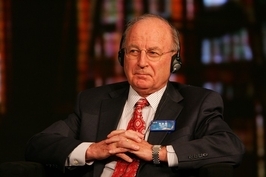 For example, in reviewing the history of enterprise reform in the 30 years after 1978, the Chinese Academy of Social Sciences recognized Edwin Lin, the head of World Bank China Program in the 1980s, as the first person to propose that China’s SOEs may adopt the corporation form of Western companies. Wu Jinglian, a leading advisor to the State Council on economic reform, also appraised the influence of the World Bank’s two reports in 1985 and 1989 in advising China to adopt corporatization as a potential way of reforming SOEs. After the re-launch of market-oriented reform in 1992 by Deng Xiaoping’s “Southern Speeches,” China’s SOE reform entered its second generation in 1993, marked by the “Third Plenum Decision” of the 14th Central Committee of the Communist Party of China (CPC). In line with an overall vision of a “socialist market economy,” the thrust of the new SOE reform strategy was the transformation of SOEs into modern corporations, known as the “modern enterprise system.” Behind the new strategy was a recognition that efforts to improve SOE performance within the traditional SOE model in the 1980s had reached their limit and further progress would be difficult to achieve without reforming the model itself. A Company Law was promulgated in 1994 to facilitate the reform. Today virtually all Chinese SOEs are corporatized. Corporatization reform in the 1990s was implemented as a component of a broader and radical program of restructuring, in which a large number of financially distressed SOEs exited the market through mergers and bankruptcy and small SOEs were privatized following a policy known as “grasping the big and letting-go of the small.” In its 15th National Congress in 1997 the CPC modified its ideological position to accept the private sector as a “component” of the “socialist market economy” and established that the co-existence of public and private ownership should be China’s “basic economic system.” In response to the Asian Financial Crisis, improvement of SOE performance was made a top priority through the “Three-Year Turnaround Program” that was implemented in 1998-2000. The radical reform and restructuring in the 1990s came with heavy social cost: around 30 million SOE employees, nearly half of the SOE workforce, lost their jobs. However, it transformed most large Chinese SOEs from inefficient production factories of government departments with multiple political and social mandates into corporations that compete in the domestic and international markets pursuing primarily commercial objectives. As a result, SOE performance was steadily strengthened from 1998 to 2007, which helped unleash the country’s growth potential and secure rapid development in the early 2000s. This article is part one of a four-part series on the World Bank’s role in transforming China’s state sector. Read part two here, part three here, and part four here.